The FIRST wallie of Asuran that i made! Ooooo!! even though he has changed in Destiny and even though he was so harsh wif my Cagalli, i still adore and LOVE him!!! Hope he Changes! 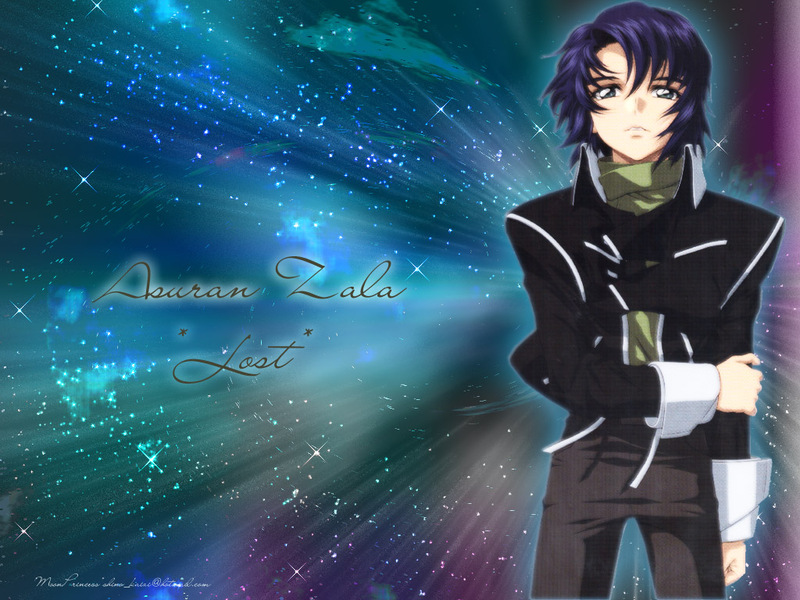 I really like this of Athrun! Yay! He's in regular clothes!! I really like this, and his facial expression is really one of being lost too! Good work! Keep it up! lol Nice wallie you won me XD i was thinking about making a wallie with that scans but your looks very nice! Much better that i was imagined mine ^_^ Good JOB! Specially the bg! Nice wall! I'm such a sucker for Athrun wallpapers. I love the background too...it matches nicely. Good Job and thanks for sharing! I love the wallpaper!!!!!!! !Not to mention the background is so cool!!!!!!! !I am adding this one as my favorites!!!!!!! !Thanks for sharing!!!!!!! !